Moving from Glasgow to London has never been easy, we make weekly trips down to London, so we can help move your stuff down south, hassle free. We are familiar with the route which is most of the time, straight down the M74, M6 and then depending upon which part of London, we take either the M1 or go via Oxford. This also means that we can assist with part loads for student removals or a simple sofa being sent to a loved one. Moving To London or Anywhere Along The Way? We can assist with full house removals, to part loads, or bringing things up from London. We can match your timings, if you are driving down, we can get there the same time as you, unless you are a fast driver – as vans take longer due to different speed limits to cars. Or if you are flying down or taking a train, we can turn up at a time that is suitable to you. If the property in London is unavailable right away, we can store the contents in our storage and then bring them to you whenever you have the keys. This allows you time for flat/house hunting before your stuff arrives. We also conduct removals to other cities along the way, so Manchester, Birmingham or even further south like Brighton, South Hampton, Plymouth Etc. We can accommodate any type of removal Small or Big be it as little as a few boxes or as big as an unfurnished home removal for a FREE QUOTE contact us now on 0131-3321373. Our quotes are for Part loads or Full Van loads, depending on the size of the removal. Part load are meant for smaller loads, which may not be suitable for a dedicated trip, so we combine two or three customers and take your contents down together, this allows customers to ship smaller quantities as opposed to a full van load. So if you’re moving a couple of boxes, single furniture items or other small possessions, please do not hesitate to ask 1stMovers for a quote. It will most likely surprise you and make you choose a professional company instead of hiring a man with a van from Glasgow to London (However, our prices for dedicated moves a very competitive too!). Part loads usually require a bit more flexibility time wise, so we can accommodate your move with other moves. So please expect to be slightly flexible with pickup and delivery dates, feel free to enquire and we shall be able to help. Please fill in our enquiry form and we will get back to you with a quote in No time – Part Loads are cost friendly! 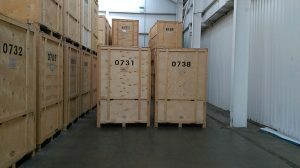 If you’re planning to relocate to London from Glasgow and take all your possessions with you, you are most likely looking for a dedicated move. Dedicated removals mean we shall go down especially for you, and send a suitable vehicle according to your needs. If you’re pA dedicated move means you may choose the collection date and time as well as delivery to your utter most convenience. This is most suited to full home removals or people on a tight a schedule. Fill in the Online Enquiry Form and we shall get back to you with a quote. Our quotes are completely free and non obligatory, so you don’t have to worry about costs of getting an estimate for your removal. 1stMovers offers more than one service for those moving from Glasgow to London. We do piano removals and office removals, as well as homes. What’s more, our packing and cleaning services can be hugely helpful when you’re running short on time or energy! We are pretty confident that you shall be satisfied with our service, as we have thousands of satisfied customers that have chosen us for their move. We hope to hear from you soon. Happy Moving!